In 1930, as the University of Michigan was preparing to unveil its new dormitory for women, Mosher-Jordan, an ugly fact emerged: Every one of the 450 women who would be housed there would be white. African American students, parents, and alumni carried out a long battle to integrate the dorms, engaging in years of activism. Their political struggles, as well as their personal and academic successes, are documented in recently uncovered stories and letters at the Bentley—all as part of the Library’s ongoing project to collect the names of and information about African American students who attended the University from its founding up to the Black Action Movement in 1970. Ann Arbor resident Marjorie Franklin was thrilled when she learned she had been accepted into the U-M Hospital School for Nurses in 1924. First-year nurses had to furnish their own uniforms, but all else was provided, including housing in the nurses’ dormitory, board, and laundry. 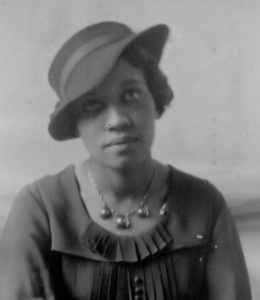 But when Franklin and her mother, Beulah Jones, went to meet with the Director of Nursing, they were informed that that there was “no housing provided for colored students.” Instead, she was encouraged to live at home. Franklin and her mother remained resolute and brought the matter to the attention of President Marion Burton, who was reluctant to take a position. Jones noted Burton “couldn’t see any possible way to put a colored woman in the dormitory,” though he wouldn’t go so far as to say it was impossible. Marjorie Franklin, along with her mother, Beulah Jones, fought to be housed in the U-M nurse’s dormitory with the rest of her nursing cohort. HS16686. The issue went before the Board of Regents in 1925 at its May meeting. The Regents, however, were reluctant to intervene and settled on a carefully worded resolution stating that the “Franklin case presents a routine departmental matter” that did not require regental intervention. A couple of months later, in a letter from hospital Director Harley Haynes to acting President Alfred H. Lloyd, Haynes conveyed the University lawyer’s opinion that the case was unwinnable and it “would be advisable to arrange for living quarters for Miss Franklin without taking the matter to court.” Against such an indefensible position, Haynes wrote to Baker informing him that as soon as the new residence hall for nurses was completed—Couzens Hall—Franklin would be housed there. African American newspapers hailed the victory. Franklin’s case was settled. Nonetheless, the University’s larger responsibility for housing African American women remained unresolved. Franklin’s journey is a noteworthy chapter in the history of equal-housing efforts at U-M. A similar struggle would begin for other African American women on campus just a few years later, while the push for full housing equality would continue through the decades that followed. In 1927, the University of Michigan was badly in need of dorms for all women. The Martha Cook Dormitory and Helen Newberry Residence had opened in 1915, providing housing for about 200 women. In 1921, the Betsy Barbour Residence added 80 more spaces. Alumnae House and Adelia Cheever House offered rooms for a few dozen more. But the remainder of the women—some 1,500—lived in sorority houses or in the dozens of rooming houses that surrounded campus, including 76 League houses for women approved and inspected by the Dean of Women. 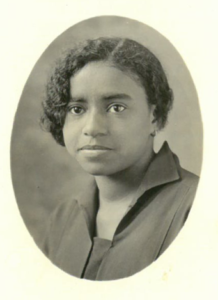 Also in the late 1920s, the president of the Michigan State Association of Colored Women, Christine S. Smith, was pushing hard for improved housing for Michigan’s African American women students dispersed across several private homes. President C.C. Little wrote to Smith in 1928: “I think we both agree that not enough has been done in the past,” adding that the University was “eager to have the situation improved for these girls.” Little asked Dean of Women Alice Lloyd to take the lead. A private house at 144 Hill Street operated by Mrs. Esther M. Dickson, an African American widow, provided a quick and ready solution. Dickson wanted to switch from boarding male students to boarding females. Her house was quickly inspected and listed as an approved “League house for colored women” for the 1928-1929 academic year. The house at 144 Hill Street proved unpopular. It was located far west of campus and near an active railroad track. The house also came under fire from members of the local African American community, including the Federated Association of Colored Women, which accused the University of segregation. Alice Lloyd’s annual report for 1928-1929 devoted much attention to the house for “colored women”; in response to the segregation charge, Lloyd resorted to legalistic hairsplitting, stating that her office “did not say at any time that the house was for colored girls only, but that colored girls would be welcomed.” Some African Americans saw the effort to create a separate house as a dodge by the University in order to avoid having to directly address the issue of admitting African American women into the dormitories, particularly with Mosher-Jordan about to open. The house at 1102 East Ann Street was located at the intersection of Ann and Glen streets and can be seen in the center of this photo taken in 1936. HS1611. The house became a social hub for African American students. Numerous notices in The Michigan Daily announced meetings, “get-acquainted” receptions, and other events held at the house. Still, while the house mitigated some African Americans’ social isolation, it was unable to erase the lingering bitterness of exclusion from the much nicer dormitories. Finally, in 1930, Mosher-Jordan was on the verge of opening and alleviating the unmet housing needs of women students. Housing the approximately 15 African American women on campus, however, remained an unresolved issue. By the spring of 1930, charges of racism swirled around the new Mosher-Jordan dormitory, even though its doors weren’t officially open. Helen Rhetta of Baltimore and Vivian Wilson of Washington, D.C., had applied for residence in Mosher Jordan in December 1929, but by the end of the school year had not heard any response, despite the fact that white classmates were being accepted into the new space. The Baltimore-Afro American ran a story on September 19, 1931, about Rhetta’s fight to live in the new dorm. The article reported that when she returned to Ann Arbor in the fall of 1930, “she was met at the station by Miss Lloyd and taken to a newly painted 20-room dormitory for colored students only”—the house on East Ann Street. The newly opened Mosher-Jordan dormitory, photographed in 1930. HS15700. Activism by Rhetta and others succeeded in opening Mosher-Jordan to all women. In 1931, six African American women applied for rooms. Two of them were accepted. Alice Lloyd reported that one of the two “withdrew for financial reasons,” but that the “other one remained and made a very good adjustment.” That “other one” was E’Dora Morton of Detroit, who would move back into the house on East Ann the following year. Others would continue to fight for the right to live in dormitories. 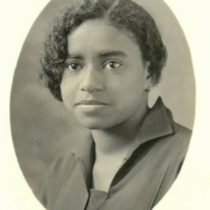 Elsie Roxborough, the daughter of Charles Roxborough, Michigan’s first African American state senator, was one of the next African American women to live in Mosher-Jordan in 1934. Three years prior, in conjunction with Rhetta’s protests, her father had pushed for an investigation into discrimination at Michigan by introducing a Senate resolution. E’Dora Morton was the first African American woman permitted to live in Mosher-Jordan. She lived there for a year, then moved back to the house at 1102 East Ann Street. 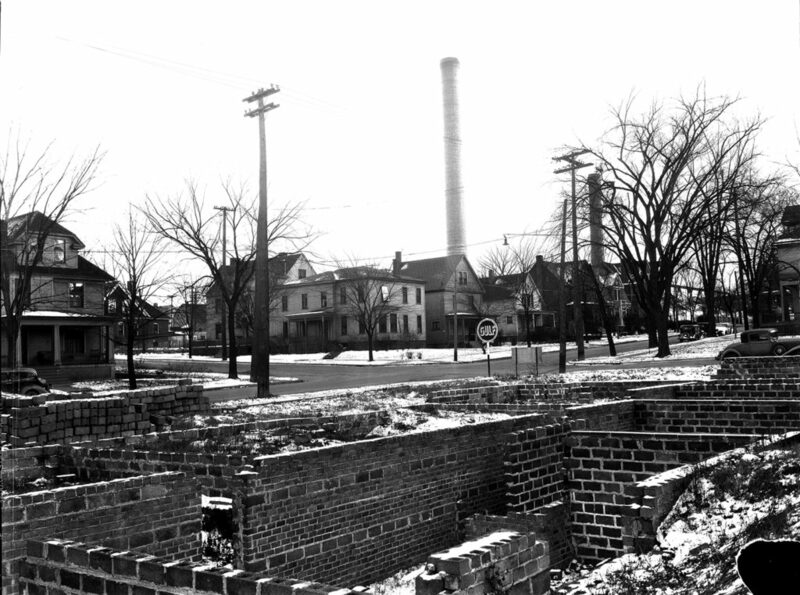 The house on East Ann Street would stand until the summer of 1946, when it was razed to make way for the new Food Service Building to serve the expanding dormitories. The Michigan Alumnus noted in October 1945 that a “League house for women students, owned by the University, is on this half block at the present time, and negotiations are now under way to secure another house to replace this in the present set-up.” That “set-up” for African American students moved to 1136 East Catherine, where it continued until 1954 when it too was razed to make room for new University buildings. Following the decision in 1950 to house all first-year women in residence halls, discrimination in roommate assignments came to the forefront. In 1955, the Student Government Council’s Human Relations Board took on the prevailing use of “race, religion, or ethnic background” as selection criteria. In spite of the challenge, the allocation of roommates based on race would not end until the late 1950s. The abolition of the position of Dean of Women in 1962 was a key turning point in the liberalization of housing policies as League houses disappeared along with the in loco parentis doctrine. Activism of the Black Action Movement in 1970 forced serious discussion of the living problems faced by African American students. The need for community space was recognized through the establishment of the William Monroe Trotter House in 1972. Recent discussions about the name and location of the Trotter House serve as a reminder that the situation has improved, but much work remains to be done. Sources for this story include: The Michigan Daily; The Chicago Defender; The Baltimore Afro-American; Michigan Alumnus; the papers of University Presidents Marion L. Burton, Clarence Cook Little, and Alexander Ruthven; Board of Regents records; Elizabeth Leslie papers; University Housing records; Alumni files; President’s Report to the Board of Regents; W. E. B. Du Bois papers (available online through the University of Massachusetts Amherst), and the following monographs and articles: Ruth Bordin, Women at Michigan: the “Dangerous Experiment,” 1870 to the Present (1999), Kathleen A. Hauke, “The Passing of Elsie Roxborough,” Michigan Quarterly Review (Spring 1984), Jewel Plummer Cobb, “A Life in Science: Research and Service” SAGE (Fall 1989). These four women all lived in the house on East Ann Street and fought for their right to live in U-M dormitories. They didn’t let housing obstacles stop them from achievements—at U-M and beyond. 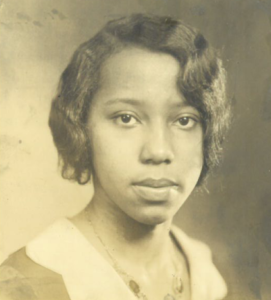 Jean Frances Blackwell graduated as valedictorian from Baltimore’s Frederick Douglass High School in 1931 and came to U-M that fall. At U-M, she was an honor student but was denied admission into Martha Cook. 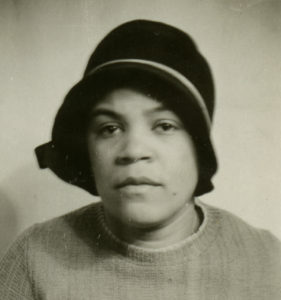 After her mother launched an investigation through the NAACP into the perceived discrimination, Blackwell transferred to Barnard College and graduated in 1935. She subsequently earned a master’s degree in library science from Columbia University, embarking on a distinguished career in the library field. In 1950, she married fellow library employee John Hutson, shortly after she had taken charge of the New York Public Library’s Schomburg collection. Under her lengthy tenure, the Schomburg Center for Research in Black Culture became a premier repository for material on people of African descent. Jean Blackwell Hutson died on February 4,1998. The Schomburg’s Jean Blackwell Hutson General Research and Reference Division is named in her honor. 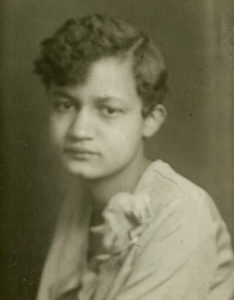 E’Dora Susie Morton (pictured above)—or Dora, as she was known to her friends—came to the University of Michigan from Detroit in September 1930 and was the first African American to live in Mosher-Jordan. A member of the Delta Sigma Theta sorority, Morton was inducted into the national sociology honorary society Alpha Kappa Delta. During her summers she worked at the Detroit Urban League’s Green Pastures Camp. She graduated in 1934 but returned to take graduate courses. She earned a certificate in social work in 1935, and in 1936 she received a $100 award as an Earhart Foundation Scholar given from the Earhart Foundation for Community Leadership. Tragically, on August 9, 1936, she was hospitalized with an intestinal obstruction. She underwent surgery but died on August 11, 1936. She is buried in Detroit’s Elmwood Cemetery. The Delta Sigma Theta sorority established the E’Dora S. Morton Memorial Award in her honor. 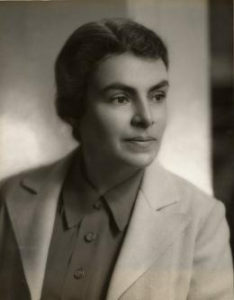 Helen Lowe Rhetta came to the University of Michigan in 1929 from Baltimore, Maryland. 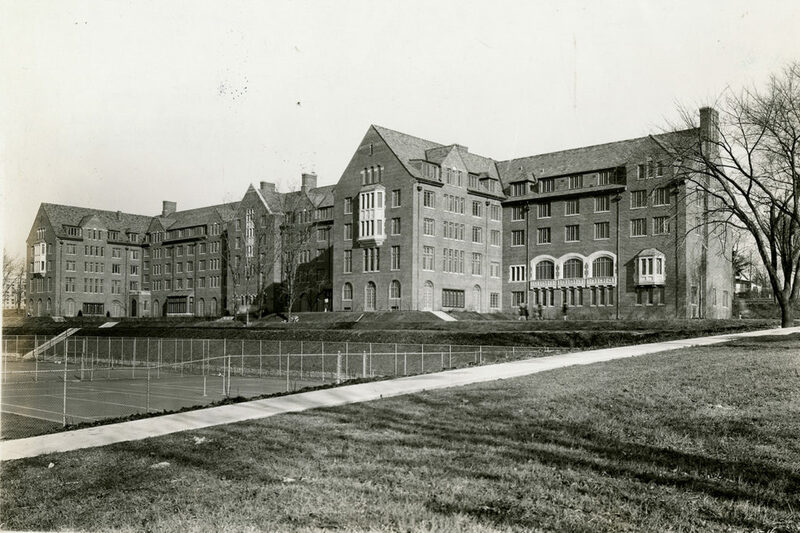 In December 1929, Rhetta applied to live in Mosher-Jordan but was not accepted into the dormitory when it opened. Rhetta’s father, a Baltimore physician, came to Ann Arbor to discuss the situation with President Alexander Ruthven and Alice Lloyd. In September 1931, the University announced that African American women would be allowed to live in Mosher-Jordan. However, Rhetta remained at the house at 1102 East Ann Street. A member of Delta Sigma Theta sorority, Rhetta graduated in 1934 but remained in Ann Arbor to attend medical school, earning her M.D. degree from Michigan in 1937. She returned to Ann Arbor 30 years later to complete a master’s in public health in medical care organization in 1967. Rhetta spent her career in the field of medicine. She died on April 5, 1997.